This growth in hyperconnectivity is sending shockwaves across the global business landscape. For many companies, this deluge of data is challenging their ability to deliver analytics solutions, which may eventually exceed their capacity to supply and consume that information—if it hasn’t happened already. More data doesn’t simply guarantee better decisions. Insight that is not timely and actionable cannot help influence or shape business outcomes. If designed and executed effectively, an enterprise analytics strategy can enable faster, better-informed decisions in data-driven enterprises. In their book “Competing on Analytics,” published in 2007, Thomas H. Davenport and Jeanne G. Harris discussed the importance of enterprise analytics, putting the role of analytics in the spotlight. They argued several key principles for success, which include among other things, executive sponsorship, a culture of fact-based decision making, and an enterprise-level methodology that spans multiple business functions and processes. Their follow-up book with Robert Morison, “Analytics at Work,” published in 2010, continued this theme—serving as a how-to guide for organizations that want to become more analytical. Data now comes in more shapes and flavors than ever before—including unstructured data (such as files, video, and social media) that will account for the majority of all data created over the next decade. It’s cheaper to acquire, store, and process large volumes of data. Once limited only to a handful of databases, imperfect visualizations, and narrow reach, there is now an incredible combination of hardware and software solutions that provides analytics with great depth, diversity, and functionality. Mobile technology and enterprise mobility solutions add unprecedented ease and convenience by bringing substantial productivity gains and making the anywhere, anytime, any device paradigm a must-have for enterprises. 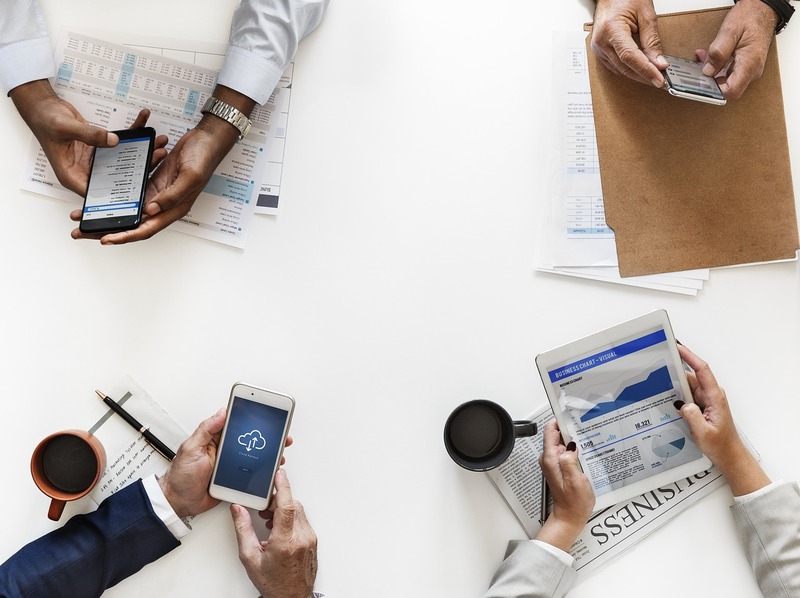 Smartphones and tablets are competing head to head for legitimate demand in the enterprise application landscape, while mobile BI plays a key role in enabling a seamless mobile user experience for analytics. Cloud technology brings a new model for software delivery and rapid value enablement—presenting opportunities in multiple configurations (including hybrid models that blend on-premise solutions) for greater speed, increased flexibility, and lower total cost of ownership. In-memory technology makes real-time access a reality and offers a vital breakthrough for astonishing speed, while eliminating data-transformation bottlenecks and redundant layers. Advanced analytics—such as predictive—reduces the barriers of entry into a field that was once reserved for the statistically inclined. The Internet of Things (IoT) and a slew of other new sources of information are making it impossible to ignore big data and opportunities for further insight. Despite these technological advances, companies still struggle with realizing the true value of analytics: Growth and profitability. For example, a 2014 KPMG survey found that 96% of companies believe they could make better use of analytics in their organization. Meanwhile, the “Workforce 2020” research by Oxford Economics revealed that only 42% of companies know how to extract meaningful insight from the data available to them. Why is it that some organizations can realize the enormous benefits of analytics, while others fall short in their strategy and/or execution? This question goes to the heart of what it means to pursue excellence in analytics. The road to success with analytics still goes through leadership and talent first. Technology comes second because it cannot compensate for human ingenuity and resolve by itself. Make no mistake: This philosophy does not undermine or underestimate the undeniable value that technology brings to the table. Instead, it serves as a guiding principle for our strategy, and, more important, the execution of that strategy that values the human element above all. For more than two decades, I have been designing, building, and managing enterprise BI solutions. I have seen it firsthand why it is critical to understand these fundamentals. For example, shortly after the release of the first iPad, our approach to mobile BI resulted in an incredible growth of SAP‘s internal BI platform. Within two years, our adoption reached more than 10,000 users worldwide and surpassed a million report views. By enabling faster, better-informed decisions, we helped our global customer operations senior management and regional teams contribute to SAP’s growth and profitability. Even with the benefit of hindsight, I am absolutely convinced that our success came as a direct result of our relentless pursuit of analytics excellence and our refusal to take the integration of technology for granted when delivering customer-centric solutions. As I always argue, we chase perfection, however elusive, not because we think we’ll ever be perfect, but because we believe it brings us closer to excellence in everything we are and ever hope to be. This is the very essence of analytics excellence! This article originally appeared on turnali.com.